Leo's had some bad luck in his life. After his father walked out on him and his mom, they've been struggling to make end's meet, not to mention any hope of saving for college. But after finding the perfect replacement for a lost family heirloom for his Mother's Day gift, Leo discovers it's actually a magic genie lamp. Presented with three wishes that could give him everything he's ever wanted, Leo soon realizes that genies have justly earned their reputation for twisting wishes to other ends. What he thought he wanted isn't all it's cracked up to be. And now that he's already used all his wishes, there's no turning back. 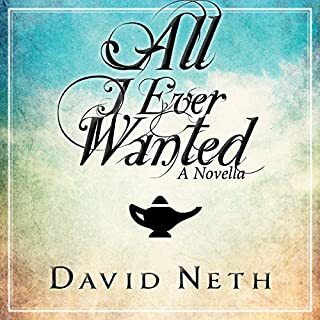 This story by David Neth is about a young school adult boy who watches (his mother and father who has separated his mother work long and hard to keep food on their table. He looks for the perfect Mother’s Day gift and finds an antique pottery that ends up being a genie. As the story progresses the 3 wishes he makes he tries to be sure they are the ‘perfect’ wishes but in the end they aren’t as he hoped. Of course the twists and turns of a school age boy and girls,etc are entwined in this story along with the complication of a separation of parents. The story moves along quickly and is entertaining. 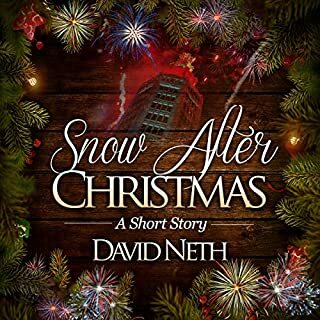 Great job David Neth!!! Tracy Slater may be a successful pop star, but fame and fortune isn't everything she thought it'd be. Under the thumb of a husband who is growing steadily more abusive, she's decided her marriage is over. She just needs to make it through one more trip home for the holidays with him before she's free. Stephen Austin worked hard to become the successful novelist he's always wanted to be. So why isn't he happy? Then he runs into his old girlfriend, the one he thought he had lost forever. Beautiful short story - could easily be a Movie! 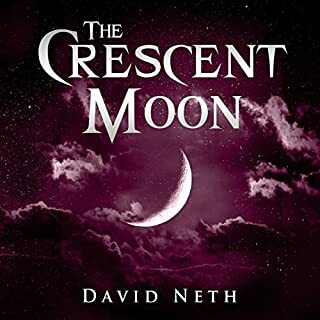 I listened to this short story in audio format and loved the way it was done by two narrators, Brenna Larsen and Andrew Russell, they really made the characters a live. The story was in a small town which I know very well, with an event we all go through, our tenth school reunion, with all ‘the who did the best in last ten years’. Tho the main theme was the romance of the two main characters and their lives both in school and after. Beautifully written, could easily become a movie. Great job David! Tristan is ready to party and ring in the New Year by kissing his soon-to-be girlfriend, Julie. The only bad note in his rocking night is the growing snow storm. Outside his apartment, he's almost hit by Grace, the most beautiful woman with haunting green eyes. She's on her own mission to get home to her grandfather. I enjoyed this story partly because I knew the area that was mentioned and enjoyed the dynamics - would like to see it a bit longer! Good job David! The Harper witches have grown apart in the 10 years since they defeated Toxanna and Will Brown. Each of them are on their own missions in the magical and the non-magical worlds. However, one by one, the witches are warned of a powerful force that has been unleashed that may also be linked to the death of Chris and Holly's baby daughter. As they fight for answers to this new threat on their own, they soon discover that they have no other options but to ask for help. I found this book to be very interesting and descriptive - while listening to this book I was usually laying down with my eyes closed - and it was very easy to visualize the characters and the situations as the writer used good descriptions and the narrator would change his voice, tho his voice for the female character was interesting. A good read! Kathy and her sister, Samantha, have always been a team. Throughout their time as witches, they've taken out more than their share of bad guys. But after Kathy meets Will, who she learns is a demonic Dark Knight, her loyalties begin to change. It took me a while to listen to this audible book, not because I didn't find it interesting but because of lack of time. So I found myself going backwards to be sure I didn't forget parts of the story. I guess to me the idea of witches living like normal humans with spouses and children among normal humans and casing spells on other witches . . . And then terminating a witch, well it is a very interesting plot! Brother witches Josh and Chris have sacrificed a great deal for their magical responsibilities. 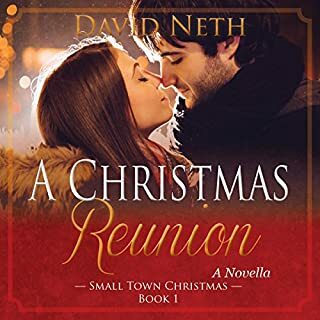 Their aunt, Kathy, is the only family they have left, and together they must face their enemies to keep them from targeting any more victims. But when Kathy is put in the hospital after an attack, the boys are a witch short. 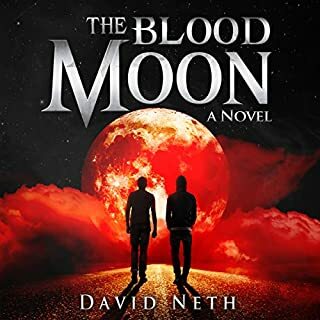 The Blood Moon has an interesting story line. This book had an interesting story line that kept my interest throughout the whole book. The ending was a bit vague - maybe done intentional so you need to go on to the next book? 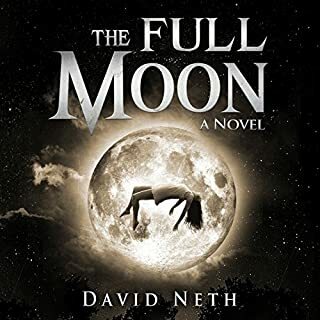 David Neth is a new author who I see much potential and I hope he continues to fulfill his dreams.